Whether it’s at a protest, public event, or at an established community space, it’s always important to ensure that every one, regardless of background, is free to engage with your community. 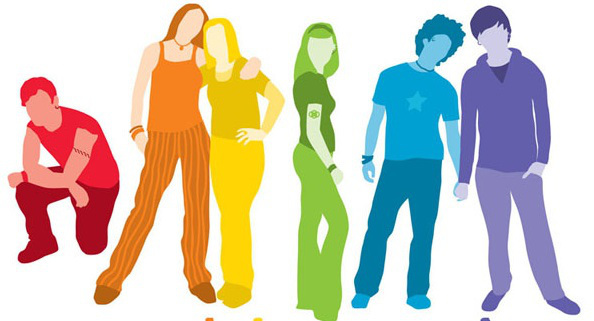 When it comes to the LGBTQ community safe spaces are incredibly important, especially for young people and minorities that may face widespread discrimination within mainstream society. Safer spaces policies are the rules by which a community agrees to operate. They help make sure that marginalised individuals are free to be themselves, and help prevent some of the problems common in mainstream society (such as racism, sexism or transphobia) from becoming a part of the community. 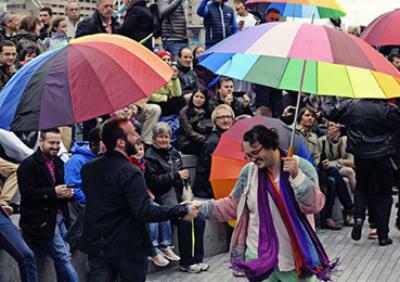 In preparation for IDAHOT 2016 we’re sharing a few short tips that you should know before creating an official safer spaces policy for your event or community space. Before starting to create a safer spaces policy it’s good to know which members of your community would benefit most from it. Within LGBTQ circles women, trans and non-binary people, and people with disabilities are often marginalised and excluded from the conversation more than other groups. (In Western countries also people of colour face similar issues). A safer spaces policy should exist to ensure that those voices within your community can still thrive and contribute. Looking at your community and understanding who would benefit is the best way to start making a policy that tackles these important issues. Before even starting a policy it’s also important to understand the problems that are common. Do men dominate conversations and action? Do people with disabilities struggle to engage? Is the language you use accessible and easy for everyone? Look at some of the common problems your community faces, both in mainstream society and in your own spaces, and attempt to identity some ways in which they could be avoided. 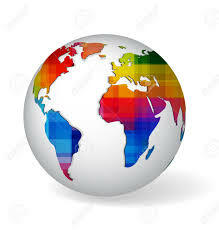 Every community in every country is different, so there is never a one-size-fits-all solution to these issues. Rather than making a set of rules that bans some people from acting in certain ways it’s always much more useful to promote cooperation instead. If one group, for example, tends to talk while another listens then you should try to promote behaviour in which these roles are reversed. You should always try to encourage others to voluntarily give up their typical role rather than try to take it away from them. By making everyone aware of their own behaviour, and how it effects others, you can also foster cooperation that can be hugely powerful in mainstream society too. In a similar way, it’s also important to remember that your policy does not help to further alienate certain people from the community, even if they do typically hold a position of power within it. Bad safer spaces policies from the past typically relied on rules that excluded those individuals from participating instead. Although it may seem like this is an easy way of addressing power imbalances, it often only helps to exclude individuals from your community entirely. Remember that the primary aim should be to prevent issues common in the mainstream and to build a community that is entirely inclusive in ways that mainstream society is not. An important part of this effort is not making assumptions about anyone’s background or identity. Although it can be easier to generalize this can lead to many problems, which within the LGBTQ community should always be avoided. If you’re writing the policy on your own, or as part of a small team, make sure you get feedback from the rest of the community. If a rule or suggestion isn’t working you might want to remove it. If something is missing you might want to add it. It’s difficult sometimes to address the needs of everyone on your own, which is why it’s important to take feedback and criticisms from those individuals themselves. Encourage your community to share input on their own needs and wishes, and try whenever possible to include these within your policy. Sometimes a community will be forced to exclude individuals or groups that make it difficult or impossible to operate. If someone breaks your rules, either on purpose or through continued ignorance, then you may wish to exclude them from your space. In these cases it’s important to know where you stand legally. Every country will have different laws around removing someone from a property or event, so make sure you check in advance to know where you stand in case a worst-case scenario occurs. In some cases legal standards will make it easier to enforce the rules you’ve set. In some countries these laws may make it difficult to operate freely. It’s always important to make sure your policy operates within legal parameters, so that everyone within the community is safe from further issues. Publish your policy online and in-person whenever possible. If you are in a shared or public space make sure you have physical copies, or a display, at entrances and in key areas. This will ensure that everyone understands the policy and can operate by its standards. At the same time make sure people know how, and to whom, to give feedback. The policy should also make it clear where to report other concerns, and what to do in certain situations. A policy is only useful if it’s known and agreed upon! Although every safe spaces policy is different a lot of them follow similar lines. If you’re still unsure on what to include then try researching groups in your area that might have their own policies. It’s also important to learn from the mistakes of others that you might have encountered, so you ensure you don’t repeat them! Safer spaces policies fro several groups can easily be found online in many cases. Using these as a template or jumping off point is a good way to start. However, make sure not to simply copy-and-paste the policy of another community, as your own issues may not be fully addressed within! Make sure to check out our website in the next few days for more information and ideas for action. For updates, news and more also make sure to follow us on Facebook and Twitter.